Community, enterprise and public galleries are open all year and are all presenting something special for ARTS FEST. Hāwera's community art gallery presents monthly exhibitions. 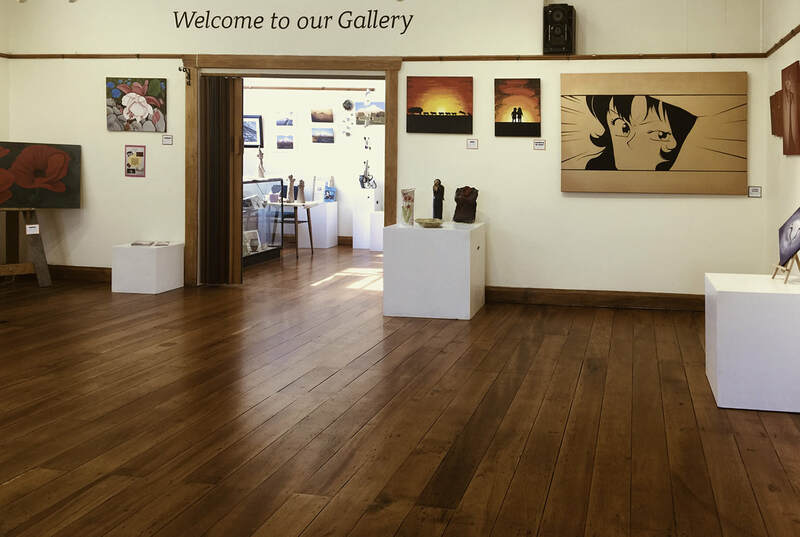 Situated next to the town square, the gallery curates and hosts monthly exhibitions and runs the national Lysaght Watt Gallery Awards in May each year. Showcasing established and emerging creative talents, Quirky Fox invites both local and international artists to be part of its carefully curated range. Many of the international artists are exclusively stocked by Quirky Fox, while emerging New Zealand talents are also encouraged to become part of the Quirky Fox family of artists and designers. The award winning gallery and online store introduces new artists each month and holds regular exhibitions. 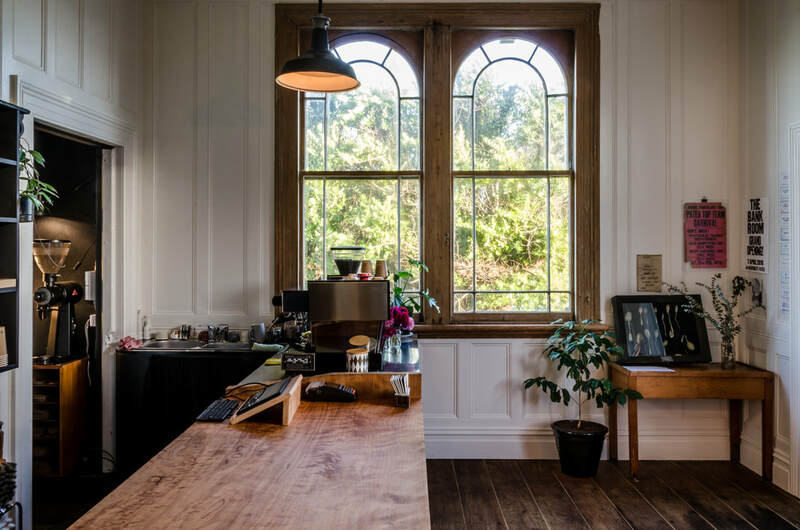 The Bank Room is a collaboration between husband and wife Kevin & Michaela, housed in Pātea’s old Bank of New Zealand building built in 1874. Organic, fairtrade Devils Cup Coffee (espresso, roasted coffee beans) and a gallery featuring hand-printed artwork and occasional homewares by monthly guest artists and in-house printmaker MB Stoneman. Restored to enhance the hand-crafted features and native timbers, The Bank Room has a focus on ethical and environmental values to ensure products are good for everyone. Featuring diverse exhibits reflecting a rich and vibrant local history. Feature exhibition is The Big Bang - see what happens when Mt. Taranaki erupts! The Portrait Show - Capturing Gender through Photography thoughtfully examines our changing cultural and social landscape from a collection that spans over 100 years of photography. the rural town of Waverley. Working mainly in a cast glass technique, the gallery shows a wide variety of original works and also features cortene steel and stone sculptures in the adjacent garden. Check out Jimi's Taranaki andesite sculptures in Gully Park next door, a great spot for a picnic. curated exhibitions by local and national artists. Situated on the main road, the gallery was established by local artists in December2016 and showcases a diverse range of work for sale. Pihama Lavender is situated in the grounds of Pihama Dairy Factory which has history here dating to 1897. Run by creative enthusiast Liz Sinclair, the extensive buildings are a wonderful backdrop for the lavender and the creative side to the establishment. A gallery featuring a wide range of artwork by local and NZ artists includes paintings, books, homewares, garden art and more. A well established community art gallery, featuring 12 diverse exhibitions per year. The GalleryShop stocks a wide range of art and crafts created by gallery members. classes for children and adults, a dedicated gallery area and art library. Check the Workshops page for a range of creative classes to enjoy, run by experienced tutors in a friendly studio environment. 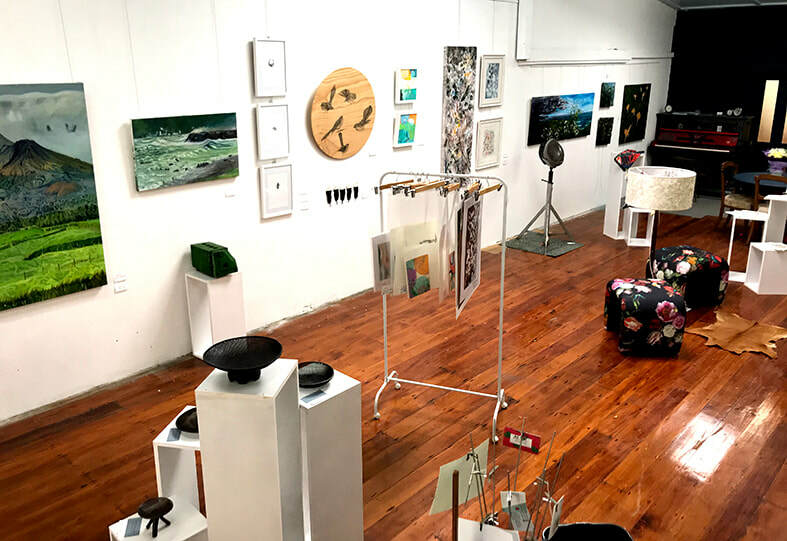 Showcasing Taranaki made art, design and gifts, Kete Aronui is a gallery and online store with quality items from emerging and established local makers. The space is constantly evolving with new works of art, sculpture, jewellery, ceramics, prints, greenstone, cards, artisan food and coffee beans available. Kete Aronui also organise workshops year round. Guest artists share their passion and skills with art enthusiasts; beginners and experts alike. Local artist Samantha Murphy and Luther Ashford present locally made quality Māori art and crafts, gifts and souvenirs in their gallery. Works on display include poi, jewellery, taniko, harakeke weaving and contemporary digital works.